294 pages | 1 B/W Illus. Congressional primaries are increasingly being blamed for polarization and gridlock in Congress. Most American states adopted congressional primaries during the first decades of the 20th century as a means of breaking the hold of political "bosses" on the nomination of candidates. Yet now, many contend that primaries have become a means by which the most dedicated party activists choose candidates unrepresentative of the electorate, and so general election voters are forced to choose between two ideologically extreme candidates. Consequently, there have been recent instances in both parties where nominees were chosen who were clearly not preferred by party leaders, and who arguably lost elections that their parties should have won. This book is the first to focus solely upon congressional primary elections, and to do so for a student readership. Boatright organizes his text around the contention that there are important differences between types of primaries, and these differences prevent us from making blanket statements about primary competition. He focuses on explanations of two sources of difference: differences in electoral structure and differences brought about by the presence or absence of an incumbent seeking reelection. The first three chapters introduce these differences, explore how they came to exist, and outline some of the strategic considerations for candidates, parties, interest groups, and voters in primary elections. The subsequent four chapters explore different types of primary elections, and the final chapter evaluates actual and proposed primary reforms. 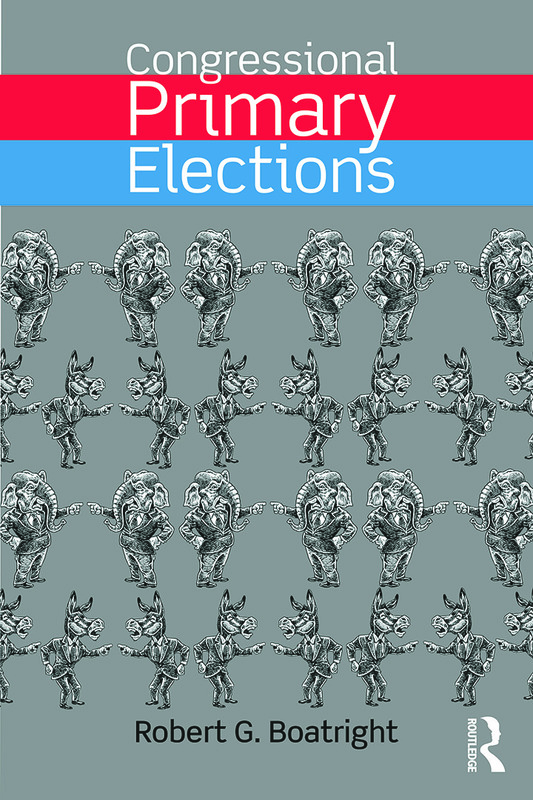 Congressional Primary Elections is the first book to provide a history and analysis of congressional primary elections and will serve as a crucial part of courses on political parties and campaigns and elections. The book gives students the tools for understanding arguments for and against the reform of primary elections and for understanding the differences between types of primaries. "In 21st century American politics, Congressional primaries matter—a lot. This vital aspect of our electoral system has great impact upon the direction of national lawmaking and public policy. In this book, Robert Boatright has filled a woeful gap in our understanding of this important arena. He incisively examines empirical patterns, systemic consequences and reform possibilities regarding the Congressional primary system. This is essential reading for all students of American elections and should find a welcome place in undergraduate courses in political parties, elections, and American political behavior." "Boatright dives into the controversial topic of congressional primaries and finds that the usual story we hear—that members of Congress are growing more polarized because they are being "primaried" by extremists in their own parties—is far from complete and is actually quite misleading. As Boatright shows, the causes and consequences of congressional primaries are varied and complex. His approach, combining broad quantitative studies of primaries with some valuable insider depictions of the facts on the ground in specific races, paints a rich picture of the reality of party nomination contests, and provides a valuable research tool for anyone who wishes to understand their impact on modern American politics." "No one knows as much about congressional primaries as does Robert Boatright. His encyclopedic knowledge is on full display in this engaging, thoughtful, and deeply researched book." "For years, scholars of congressional elections have said primaries will become more important as competition in general elections waned; yet few bothered to study these elections in a comprehensive fashion. Professor Boatright answers the call in this smart, detailed analysis of congressional primary elections. This theoretically driven text will prove useful to both researchers and as a classroom text." 1. Why Study Congressional Primaries? 2. Primary Elections and the "Democratic Experiment". 3. The Strategic Context of Congressional Primaries. 4. Open Seat Primaries. 5. Challenger Primaries. 6. Incumbent Primaries. 7. Race, Redistricting, and Primary Elections. 8. Primary Reform. Robert G. Boatright is an Associate Professor of Political Science at Clark University. He is the author of three other books, including Getting Primaried and Interest Groups and Campaign Finance Reform in the United States and Canada. His research interests include campaign finance, congressional elections, and interest groups.